Bringing the heat since 2009, the Orlando Chili Cook-off is one of the city’s most mouthwatering festivals. Enjoy a day at Festival Park, sampling from 100+ chili booths, crafted by local restaurants and nationwide chefs. Dig into food truck fare, beer and wine, and family-friendly refreshments. Experience live music, games, vendors, a DJ station, and the Kids Zone! 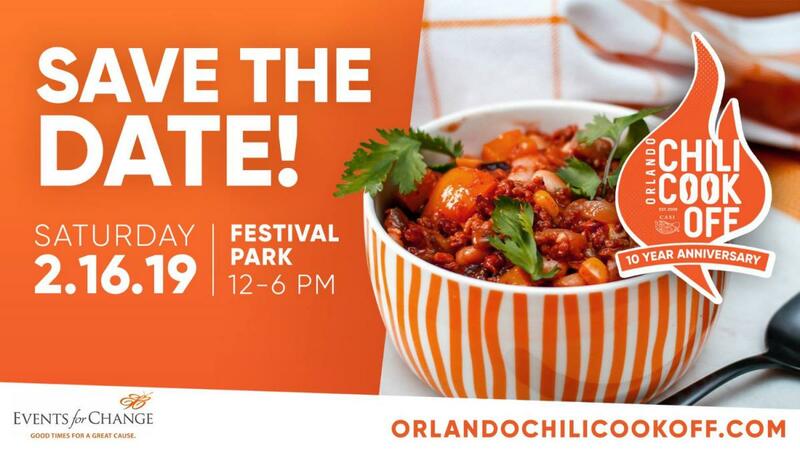 - Access to the Orlando Chili Cook-off 10 Year Anniversary, featuring hundreds of chilis to sample, live music, fun games and more! - VIP swag bag - includes koozie, giveaways, and more! - Tito's Swag bag - includes giveaways, and more!